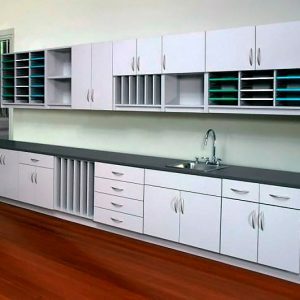 When it comes to sorting, organizing and storing stuff, Hamilton Casework Solutions’ Adjustable Shelving and Modular Casework are the new way to go. 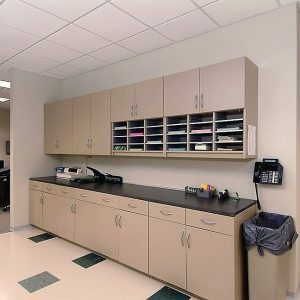 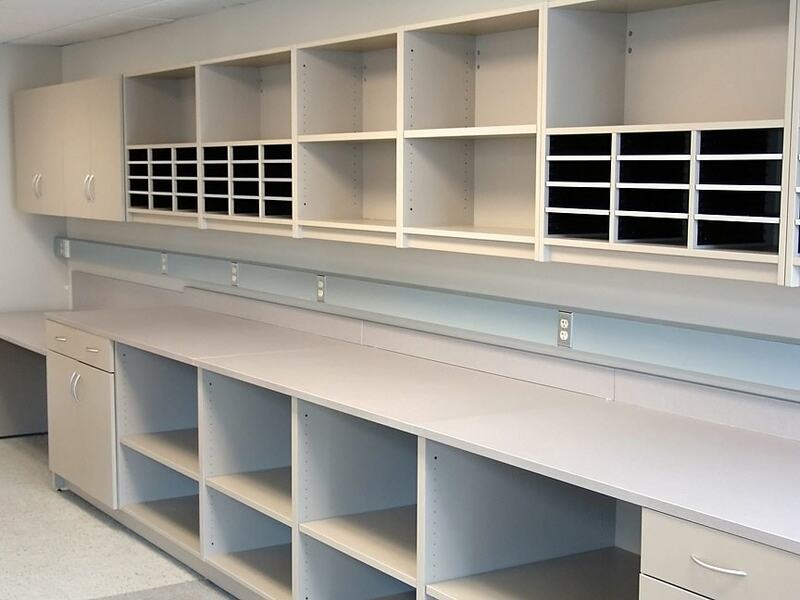 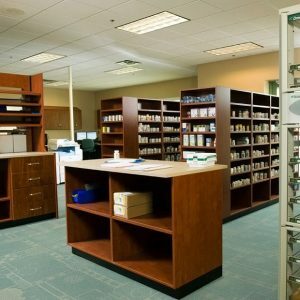 The use of Adjustable Shelving and Modular Cabinets is spreading from commercial businesses to laboratories and from healthcare to education. 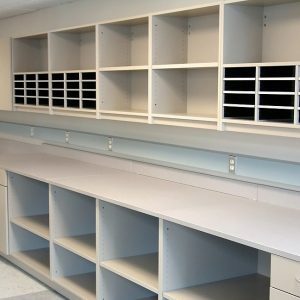 In any organization, you can get organized and store stuff more effectively and efficiently with adjustable shelving and organizing modules. 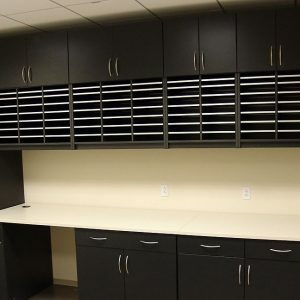 These modules are typically found in areas like community workspace, copy/fax/print areas, mail rooms, libraries, and other spaces that have specific activity and storage needs. 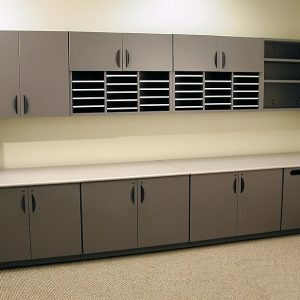 And if those needs change? 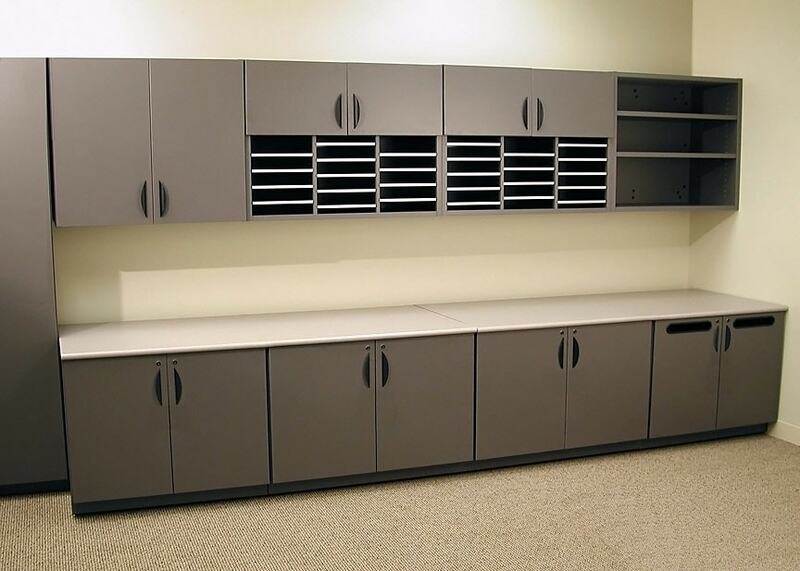 Modular casework is designed to be completely configurable. 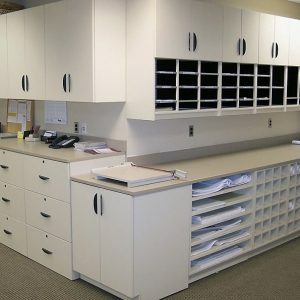 Change happens! 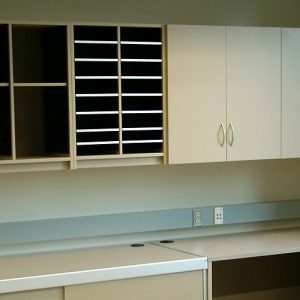 Everyone needs change. 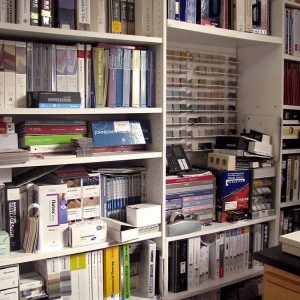 While this isn’t great for the longevity of personal relationships, you can count on the right storage solutions to sort, organize, and adapt easily. 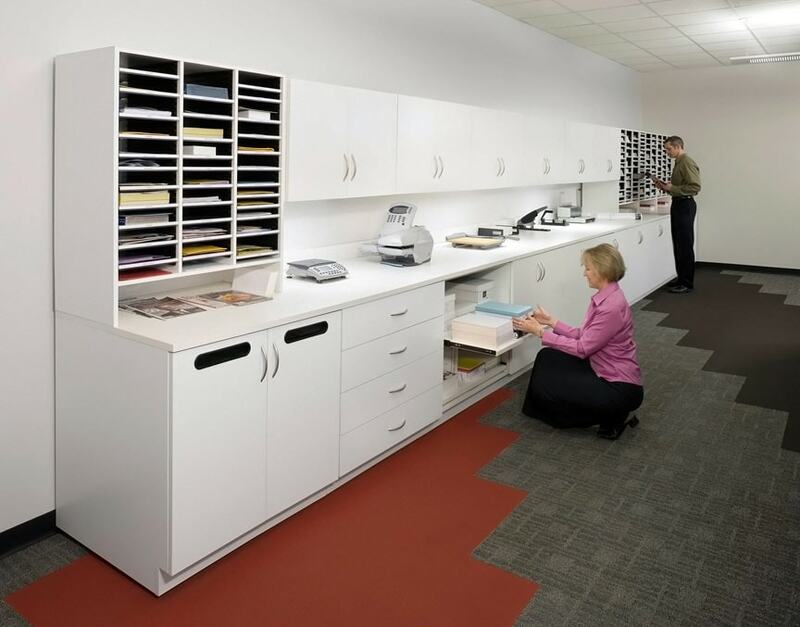 Download our Adjustable Shelving and Organizing brochure for storage that grows with you. 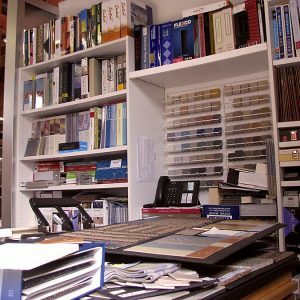 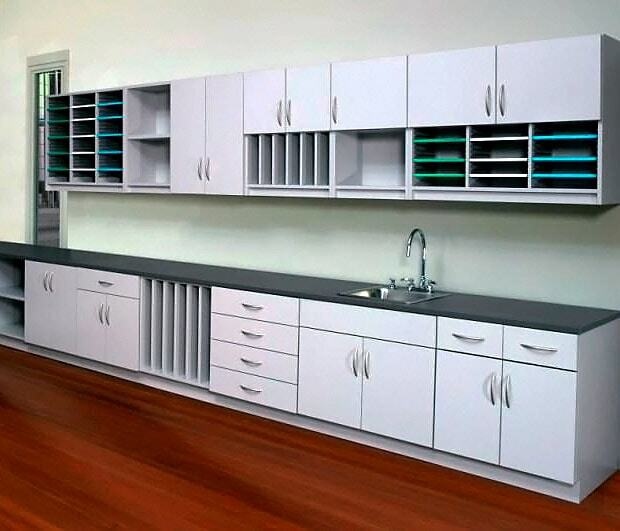 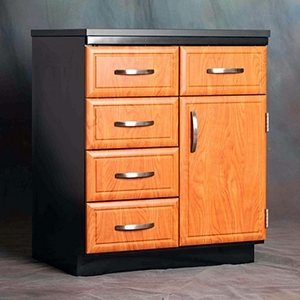 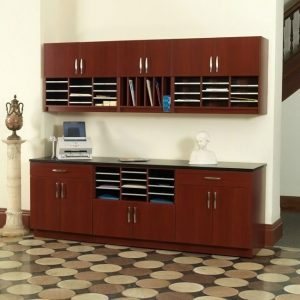 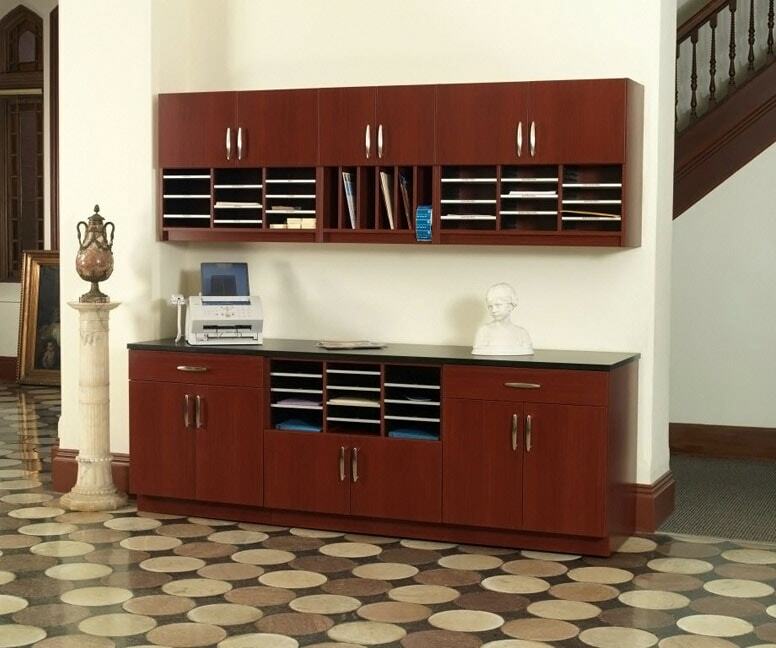 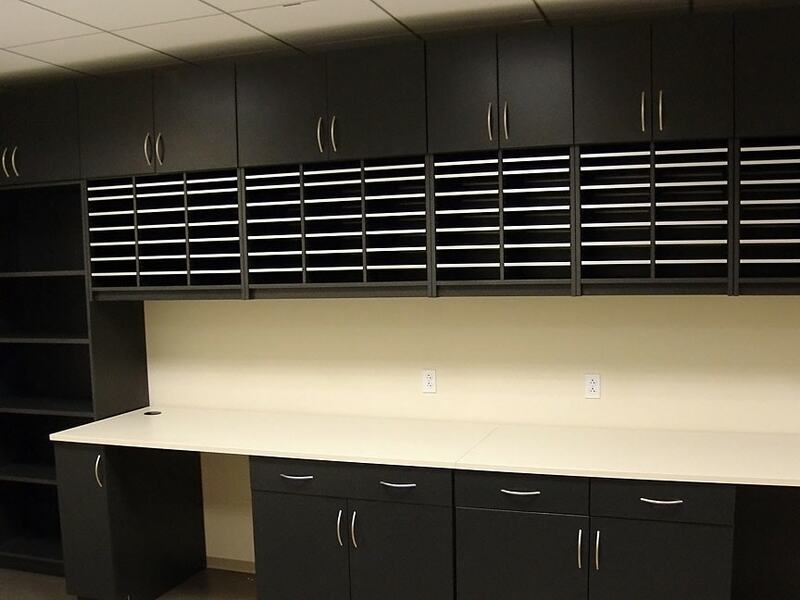 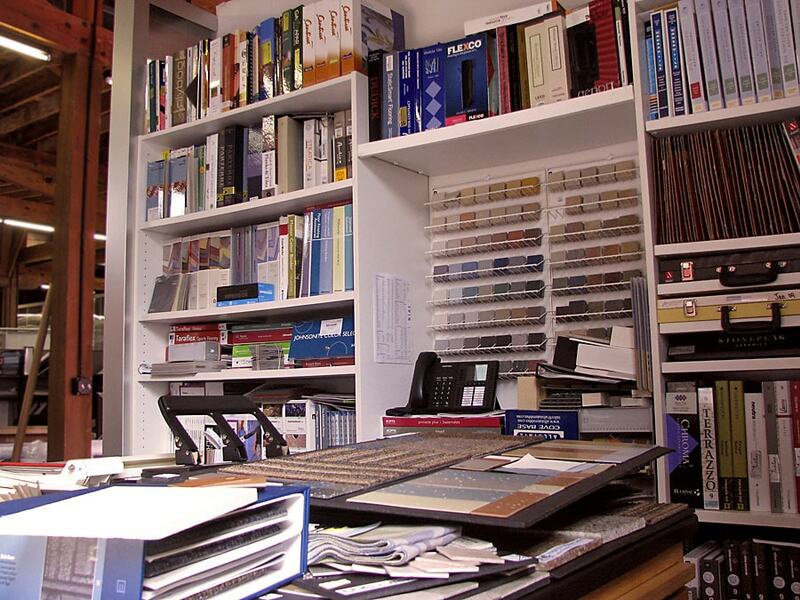 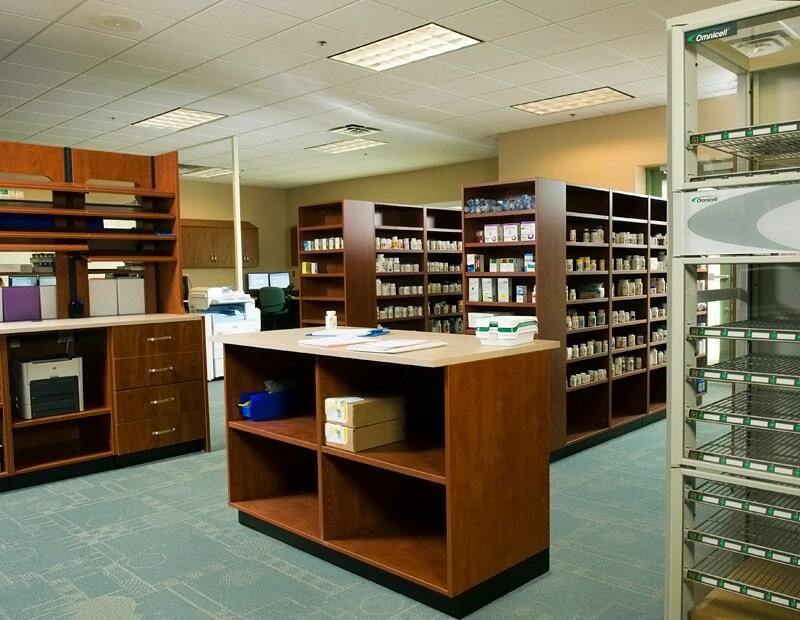 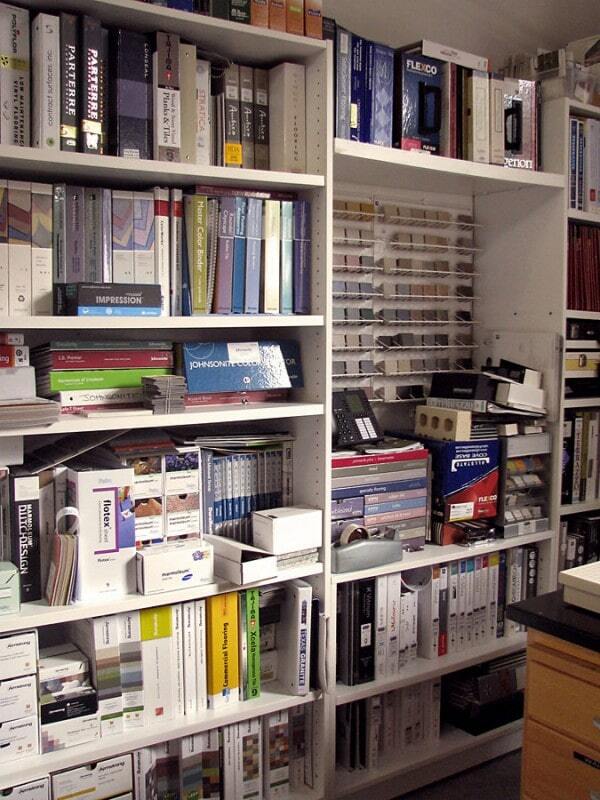 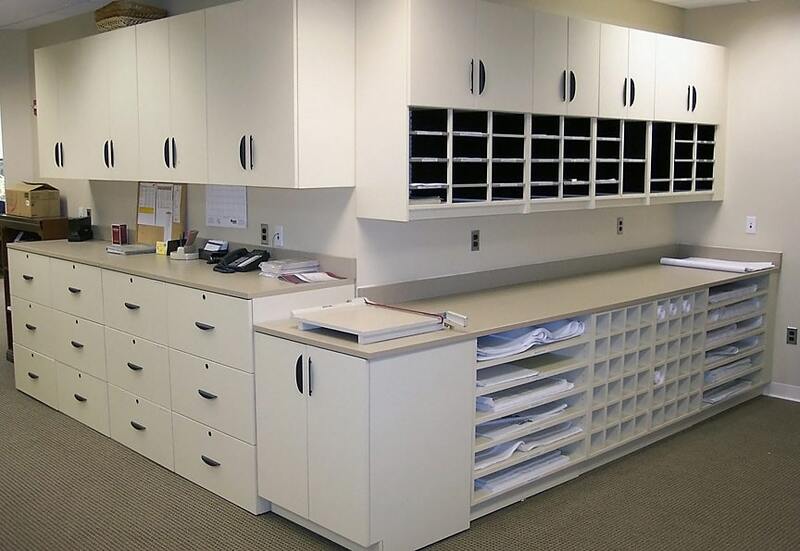 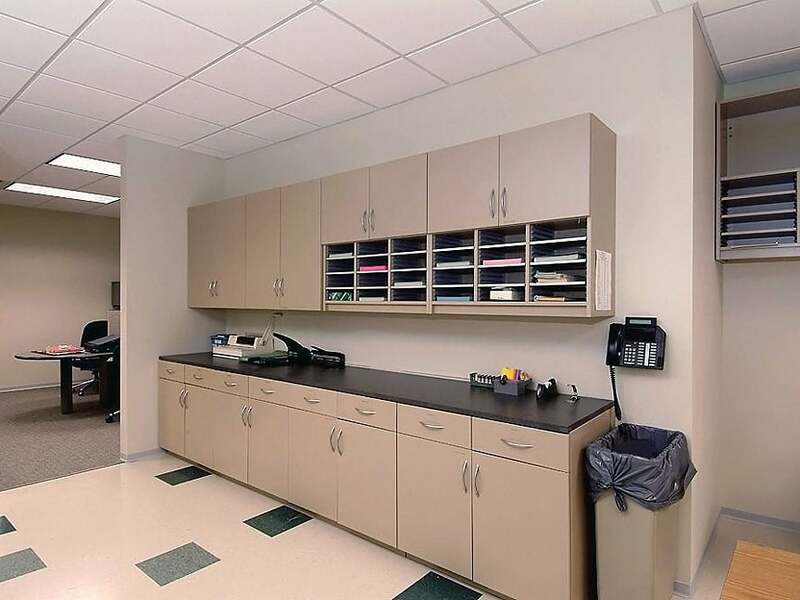 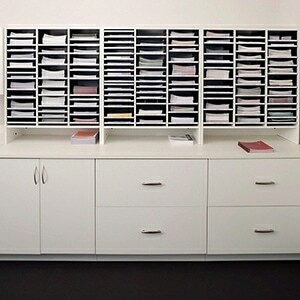 We have the adjustable shelving, commercial cabinets and organizing modules to fit every need. 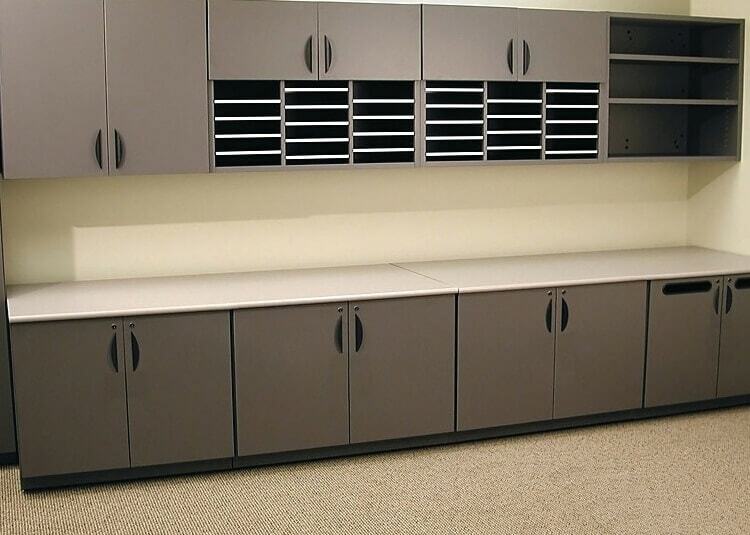 Modular Casework can be used for more than just storage. 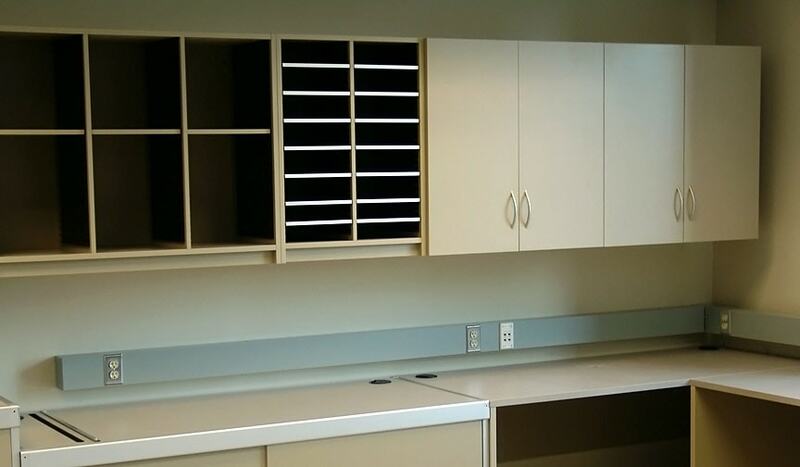 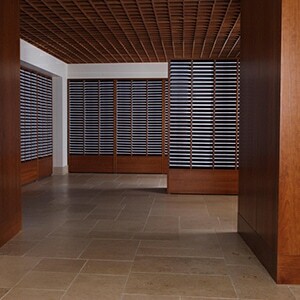 It comprises a system of manufacturing that will give you the versatility and look of built-in millwork with the value and precision of a CAD-drawn, factory assembled product, with a seven-year depreciation schedule, and a limited lifetime warranty.